The Mazda CX-5 is every driver’s dream. This crossover SUV handles like a sports car, gets better gas mileage than some midsize sedans and features all-wheel drive capability to get you through the toughest conditions. Q&A: What is the 2019 CX-5's MPG? Q&A: What is the Difference Between the CX-5 Touring vs. Grand Touring Trim? Q&A: What Color Options are Available on the CX-5? A standout in the ever-growing subcompact crossover SUV segment, the Mazda CX-3 is a trusted companion no matter what’s thrown your way. Perfect for a sprawling urban landscape or a trip through the wilds of nature, the CX-3 is always the right choice. Available as a sedan or hatchback with 5 trim levels to choose from, the Mazda3 can be crafted to meet your needs. Premium engineering and unmistakable style has made the Mazda3 the standard by which compact cars are judged. 2018 Mazda3 Sedan vs. Hatchback: What’s the Difference? The midsize SUV class is an impressive one, but that hasn’t stopped the Mazda CX-9 from rising to the top. 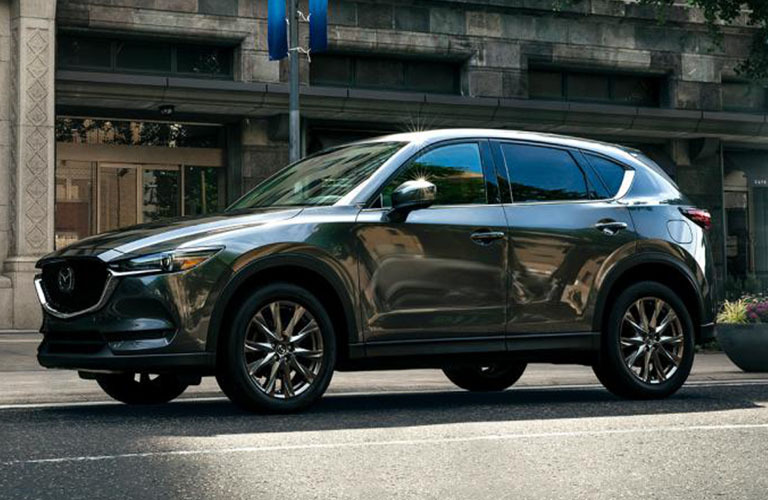 Offering top-notch performance, impressive fuel efficiency and state-of-the-art features, the CX-9 is the perfect choice no matter what your needs. 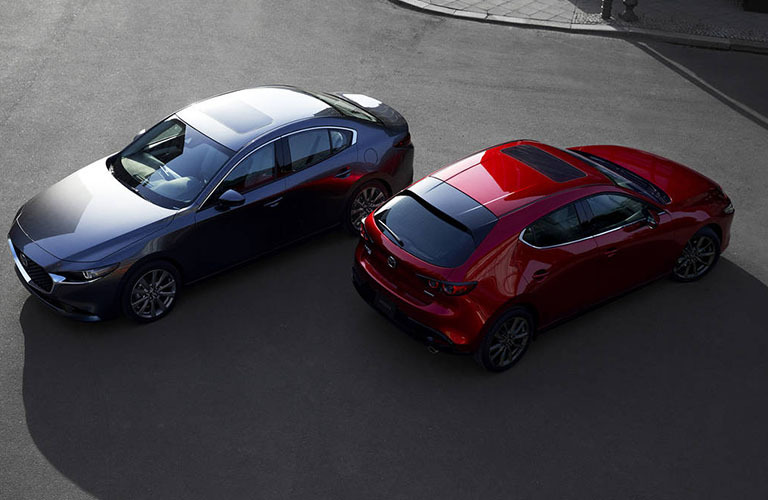 The flagship vehicle of the Mazda lineup, the Mazda6 is the perfect combination of performance, efficiency and style. Long regarded as one of the best-handling vehicles around, the Mazda6 continues to raise the bar for the competition. Q&A: Which Mazda 6 Trims is the 2.5 Turbocharged Engine Available On? Q&A: What is the Mazda 6's MPG? Only those who have driven it know the thrill of getting behind the wheel of the Mazda MX-5 Miata. It handles like it knows what you’re thinking, looks like something straight out of a movie and when that engine revs, well, let’s just say is the stuff dreams are made of. Q&A: What is the 2019 Mazda MX-5 Miata 0-60 MPH Time?